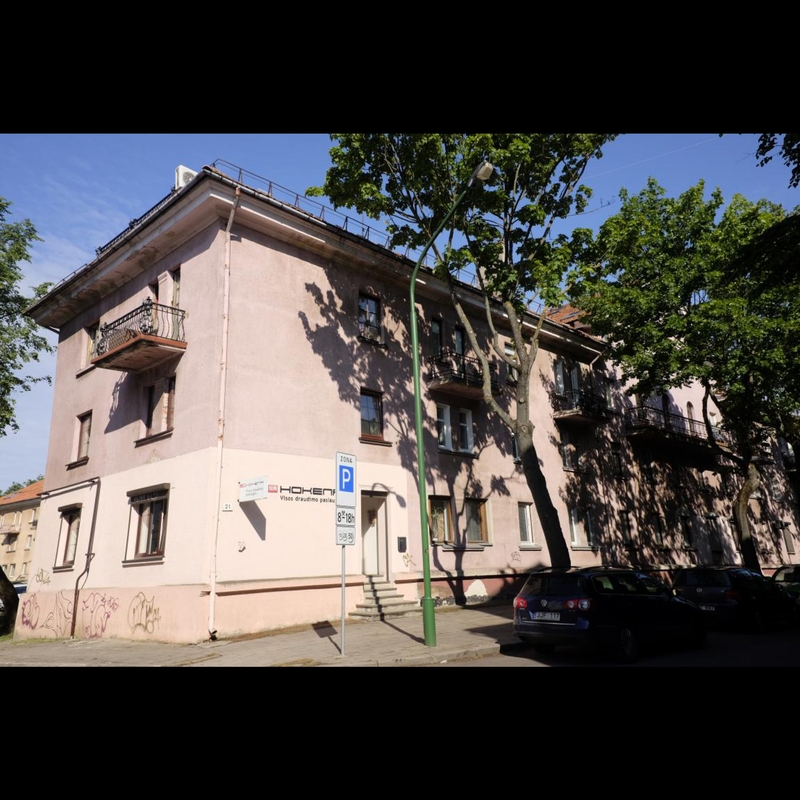 In 1934–1935 this building on J. Karoso street (former Žalioji / Grünestrasse 5) was the home of the writer Antanas Venclova. Antanas Venclova was born in 1906 in Trempiai (Marijampolė district). In 1932 he graduated from the Faculty of Humanities of Vytautas Magnus University in Kaunas and in autumn of 1934 the already well-known writer moved to Klaipėda. 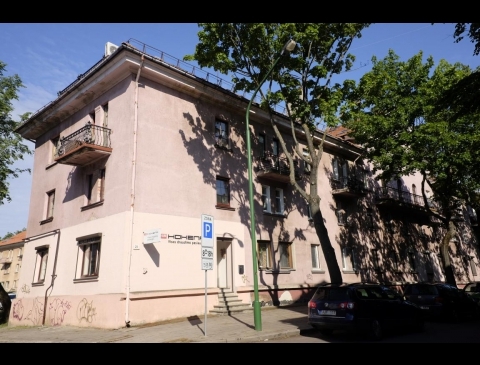 He was given a spacious room on Žalioji street, not far from Vytautas Magnus Gymnasium, where he taught Lithuanian language and literature. At that time Klaipėda was not only a port town and a busy trading centre, but also a resort and tourism destination. The city used to host song festivals, sports competitions, sea days, teachers' summer courses, there was a theatre, etc. Suggested by the Ministry of Education, he translated Sophocles' trilogy into Lithuanian language, intensively studied German language and stayed in contact with local intelligentsia: the poet Salys Šemerys Šmerauskas, the historian Jonas Remeika and others. Living in Klaipėda, he wrote his first novel Draugystė (The Friendship) and short stories. In 1935 the writer Antanas Venclova, living on Žalioji street, was visited by the writer Ieva Simonaitytė, carrying the manuscript of her first novel Aukštųjų Šimonių Likimas (The Fate of the Great Šimonys). They spent the entire autumn of 1935 editing the book, which had been “overedited” by Liudas Gira before. A. Venclova wrote about it in his autobiographical novel Jaunystės atradimai (The Discovery of Youth). The building did not survive to this day and was replaced by a residential building after the war. Pastatas J. Karoso g. 21 / Tekstą skaitė Agnė Jonkutė, 2018 m.